BED AND BREAKFAST GUEST HOUSE ACCOMMODATION AT IVY HOUSE, DOLGELLAU. Dolgellau is situated in the southern reaches of the Snowdonia National Park, nestling at the foot of Calder Idris in the valley of the River Wnion. 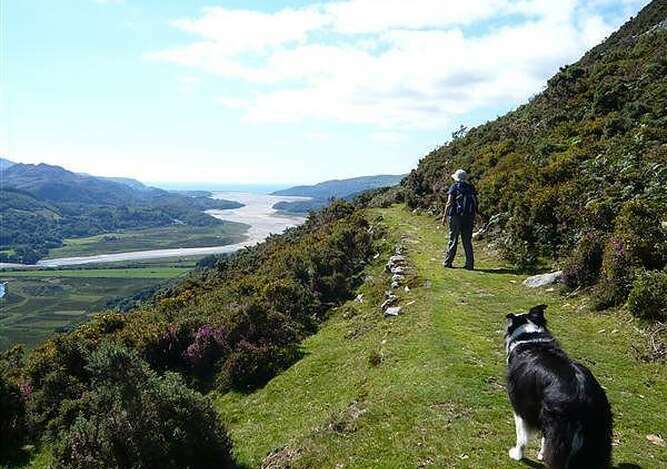 The scenery is wonderful and the sandy beaches of Fairbourne and Barmouth are just 8/9 miles away. Ivy House is a family run business with a priority for customer comfort and care. Our town's history has its roots in the pre-Roman period, with three hill forts remaining. Within a short distance from our guest house is the 12th century Cymer Abbey. 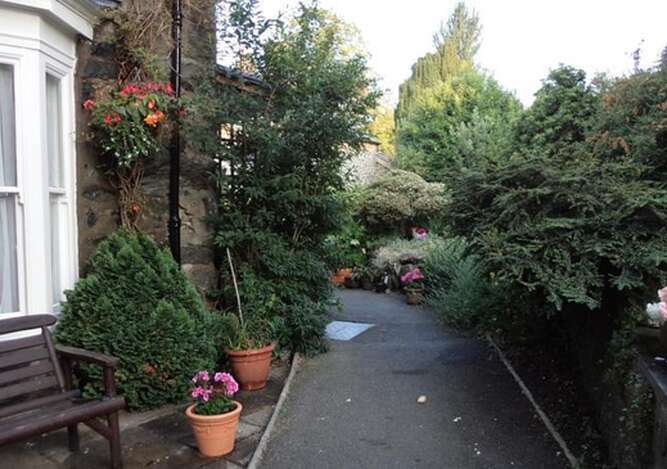 Within this desirable town is the Ivy House Bed and Breakfast which dates from 1829. Today, it offers bed and breakfast guest house accommodation. Our historic bed and breakfast guest house is within the centre of Dolgellau and well positioned for North and Mid Wales. 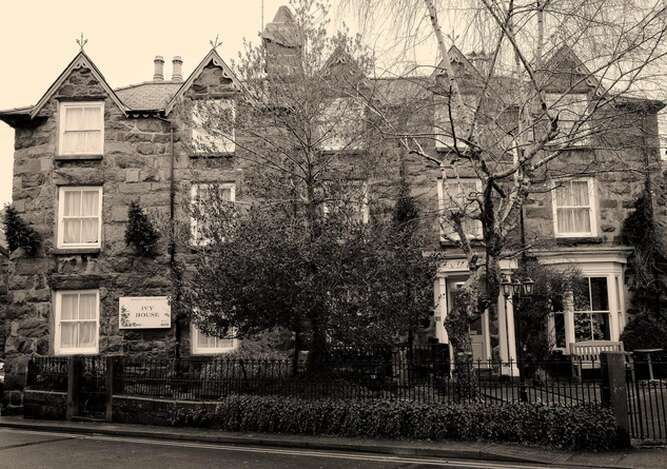 Though approaching its 180th year, Ivy House Accommodation in Dolgellau offers 21st century creature comforts. 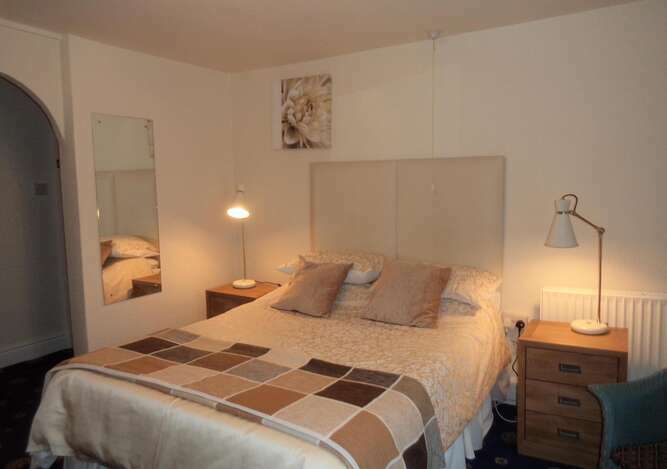 These include full central heating, en-suite rooms, hair dryers and a television. Four out of six of our guest bedrooms offer en-suite accommodation. Our bed and breakfast also accepts payment with credit and debit cards, and caters for special diets. Getting to Dolgellau is a straightforward and scenic journey by road. If you are coming in from the north, you will take in the delights of Bala on the A494, or the southern fringes of Snowdonia from the south via the A470. The nearest railway stations are Barmouth, Morfa Mawddach and Fairbourne on the Cambrian Coast line to Pwllheli and Shrewsbury. By bus, the X94 calls at Dolgellau, continuing to Barmouth and Wrexham. For bed and breakfast accommodation in historical surroundings and excellent access to Snowdonia, the Ivy House is perfectly placed. 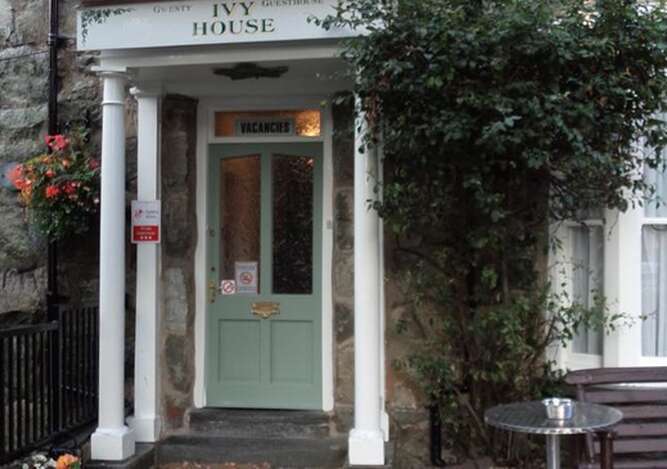 Ivy House dates back to 1829 and is situated close to the centre of this ancient small town and its amenities. There are six guest bedrooms, four of which have en-suite facilities, all of them have a beverage tray, hair dryer and colour television. There is a comfortable guest lounge and a spacious dining room where healthy or king-sized breakfasts can start your day. Packed lunches available, Open all year, Full central heating, Cot and high chair available, Access to rooms at all times, Special diets catered for, Visa, MasterCard, American Express and Switch Credit Cards accepted, Safe storage for mountain bikes and parking for motorbikes.